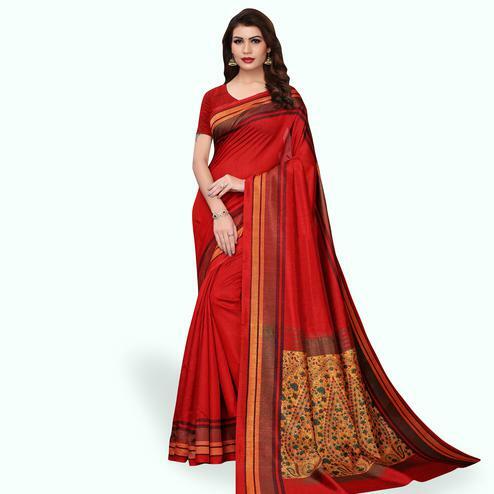 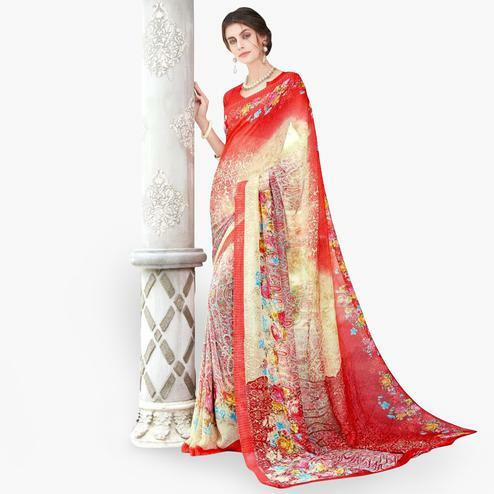 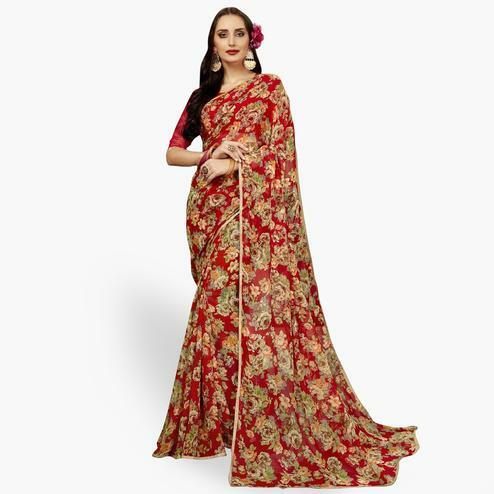 This fancy saree in red color is designed using silk crape fabric which has been detailed with fancy print and pashmina border as shown. Available with pashmina fabric multicolored blouse piece. 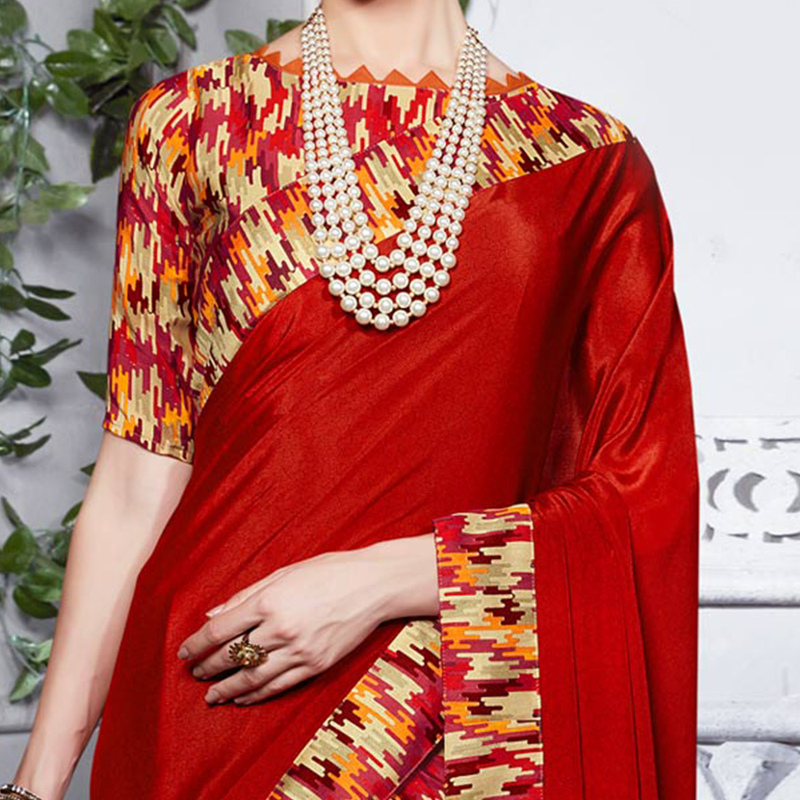 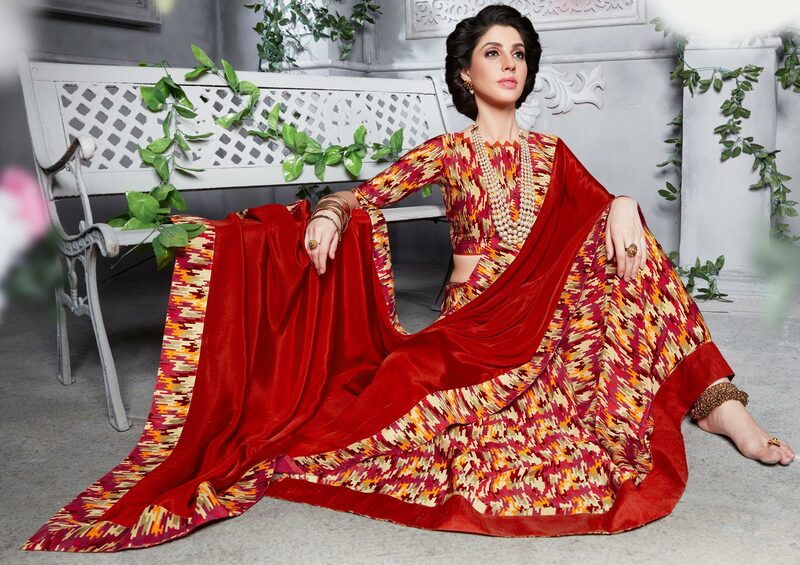 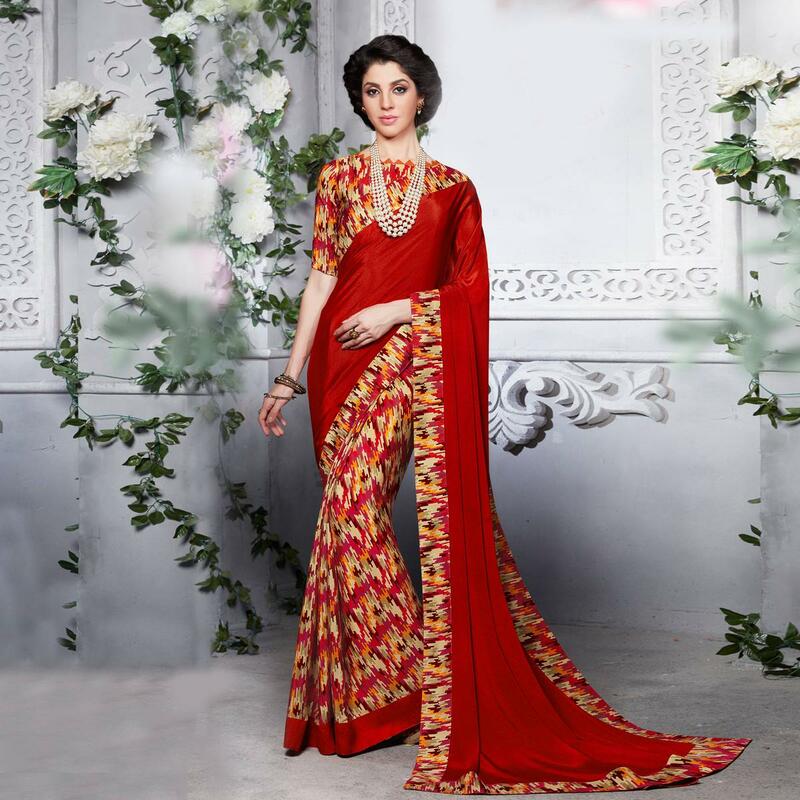 It's a perfect saree to wear for casual outing and social get together. 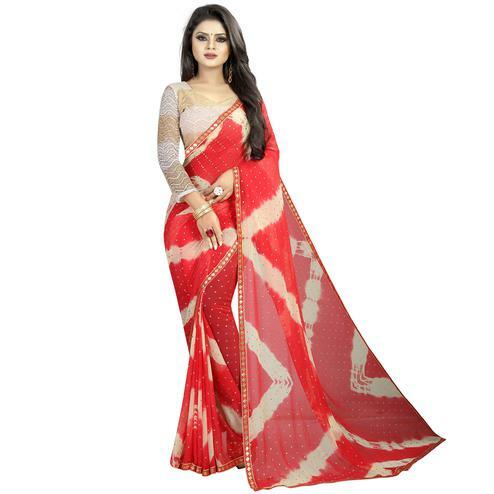 Grab it & wear it before it goes out of stock.